Porsche 718 Forum > Porsche 718 General Discussion > 2017+ Porsche 718 General Discussion Forum > After the 718 what Porsche would you like to own next? After the 718 what Porsche would you like to own next? We all have our 718's but is there another Porsche that is on the horizon that you would like to own? If so what Porsche will it be and why? I personally am not leaning toward the big sellers like the Macan, and Cayenne but what are your thoughts? 718 is actually the next one I want. I needed AWD and a daily driver so I recently got a Macan. Now I just spend time reading about the 718 Cayman, and every now and then checking out CPO prices . Porsche2018 and Semitone like this. I bought a 718 GTS to be primarily an autocross/HPDE car. Because of that I got the PDK, but I love MT's for everyday use. I couldn't get myself to spend any more money on a car with PDK. If I really enjoy HPDE, maybe I look for a Porsche GT car but that is a big question mark at this time. So let's say I still needed an everyday street car. It would have to be an MT. The trouble is, once you start spec'ing out a 911, The price easily climbs to MSRP of >120K, so it opens up another whole level of competition. I'm also not sure if the more powerful cars are as much fun in everyday street use. Might be overkill. 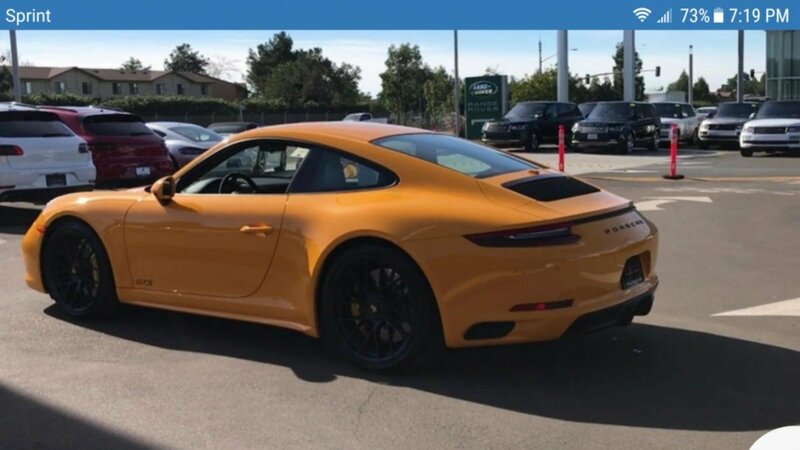 I like the styling of the Carrera T but not convinced of the value. I feel a little insulted that they take out the back seat, PCM and give you light weight glass with no defroster and call it a weight savings. I might not buy another Porsche until I see EVs. Everyday use I might need to get into the "hot hatch" crowd. Actually the Macan is the right, practical choice for me in many ways, but I already have one. If I wrecked it in the next year, I would probably replace it with the same thing. After that the jury is out. What happens if Porsche releases a GT4 or GT4-RS, any takers? 718 is actually the next one I want. I needed AWD and a daily driver so I recently got a Macan. Now I just spend time reading about the 718 Cayman, and every now and then checking out CPO prices [IMG class=inlineimg]https://www.718forum.com/forum/images/718forum/smilies/tango_face_smile.png[/IMG]. I'm going the opposite way. 718 first, then planning on adding a Macan next (replace the Audi Q3). W0666007 and Graustark like this. Why the Macan next? Family requirements or as a daily driver? Yes please ! I wouldn't be able to afford one now but that would be next on my list, yes, absolutely. I actually prefer the 718s over the 911s... I do like the turbo but it would have to be an MT for me so that rules turbo out. Would consider the GT3 but actually the GT4 suits me more so yes, hopefully that is the next one on the list! Porsche2018 and TEST DRyVer like this. Family requirements for the Macan. 3.5yo little girl and a 7month old little boy. I'm just waiting for the frequency of vomits to reach close to zero before pulling the trigger on the Macan. I'm not sure my heart could take watching multiple vomits over the interior of a shiny new Porsche. I actually prefer the 718s over the 911s.. I'm like you. I strongly prefer the aesthetics of the 718 (Boxster in particular) over the 911. Porsche2018, TEST DRyVer and W0666007 like this. Last edited by Ian718; 02-18-2018 at 01:32 PM. Great question! Not to sound like I shill for the 718, but it is the ultimate Porsche for me. So my next Porsche will also be a 718C 6mt. Porsche2018, W0666007 and seis-speed like this. 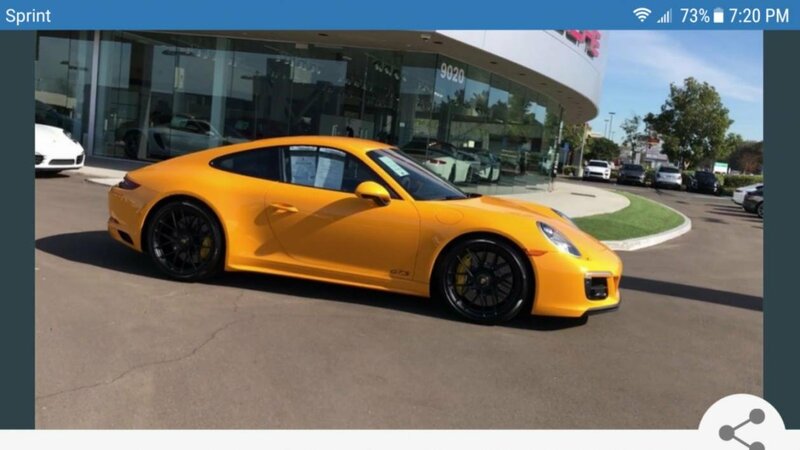 Oh yes, the next hunt...I have been admiring the Carrera gts, or the Gt3..I have yet to drive either, wondering what difference they would be to my 718 manual base? Recently saw this gts locally..love the color. Porsche2018, Pinger and 718-Mark like this. Go to first new post valve tapping? 1 Attachment(s) Go to first new post New GTS boost pressure?